And what could be finer than enjoying stunning scenery of golden beaches, picturesque coves, magnificent mountains and dramatic castles as you gently sail in the Alicante region of Spain? There’s nearly 200 kilometres of coastline to discover after you fly in to Alicante airport and head for your beautiful sailing yacht. Sailing trips can be organised by the day, weekend, and a week or longer, depending on where you want to go. And with so many beautiful beaches and resorts to visit, you’ll need to plan wisely. 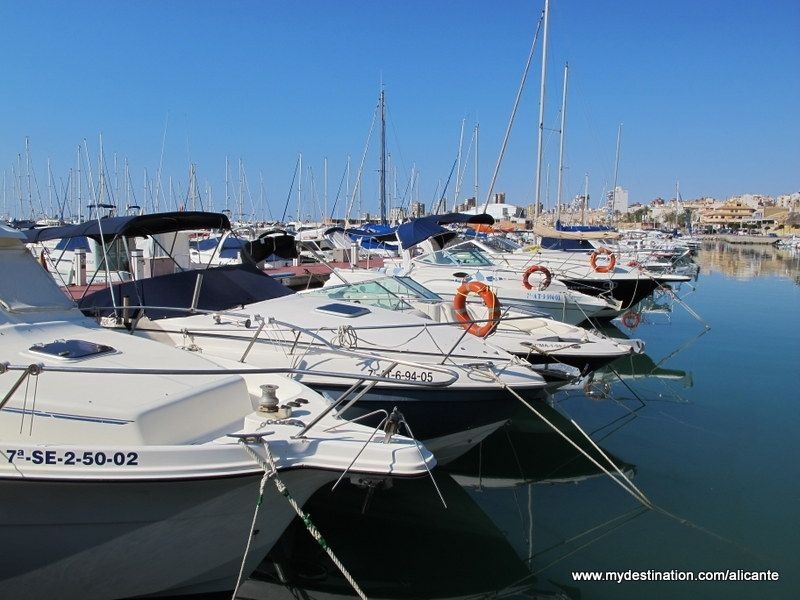 The fun starts when you board your boat and look back at Alicante to enjoy the views of the marina and the iconic Santa Barbara Castle. Look to the left side of the castle to see if you can spot the Moor’s face carved in the rock. If you only have a day’s charter, you might want to head to the island of Tabarca, a couple of hour’s sail away, with its crystal-clear waters for snorkelling or swimming. Alternatively you can head up the coast to enjoy the changing scenery as you move up the Costa Blanca coast. If you have a week or fortnight to spare, there are many attractive resorts and bays to explore. Just up the coast from Alicante is the pretty little beach resort of El Campello, with golden sandy beaches lined with seafood restaurants. If you drop anchor here, you can snorkel in the clean, clear waters at the Queen’s baths, near the marina, or go snorkelling a little further south of El Campello at San Juan beach. Look out for octopus, moray eels and damselfish as well as sponges and anemones. Further north the little town of Villajoyosa is worth visiting for its Valor chocolate museum, pretty coloured fishermen’s cottages and seafood restaurants. The clear, blue Mediterranean around this area is home to bryozoans as well as large schools of fish such as red mullet and grouper. Heading up towards Benidorm, the scenery changes dramatically with a backdrop of mountains, rugged cliffs and coves. 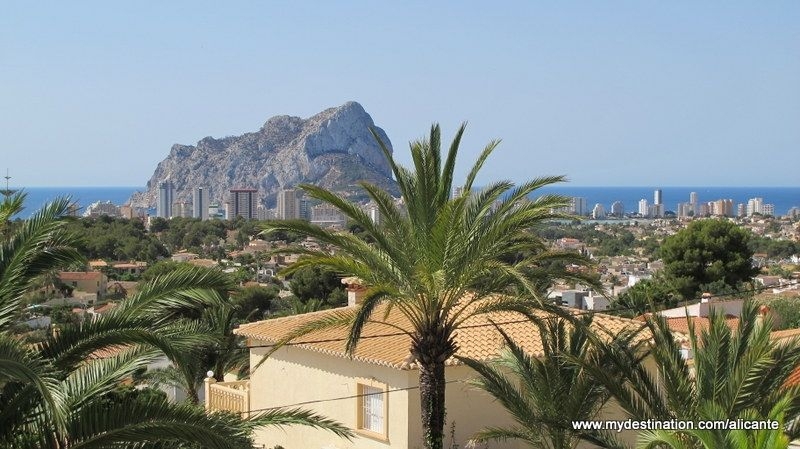 First is the impressive El Puig Campana mountain at Finestrat to the south of Benidorm. As you sail past the impressive skyscrapers, you will come across fabulous views of the Sierra Helada coastal mountain standing 438 metres tall. 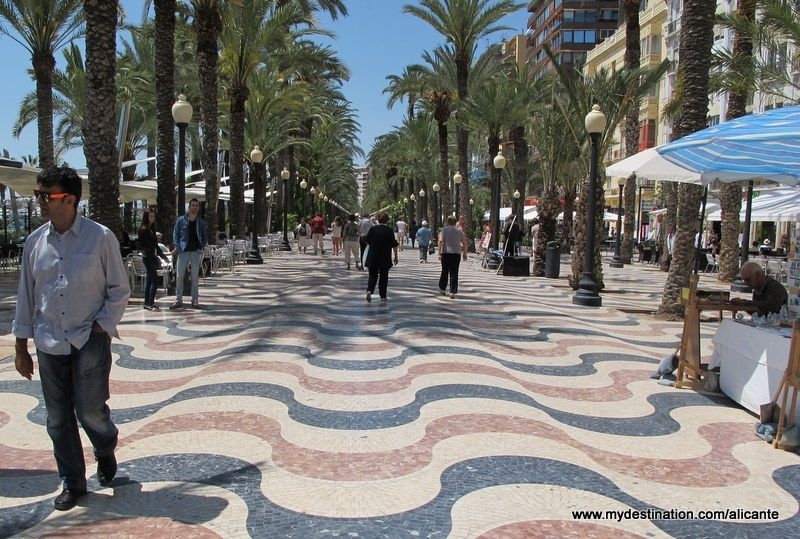 Past the mountain and you’ll come to Albir with its Hollywood-style Walk of Fame boulevard in honour of its annual film festival and the pretty town of Altea with its beautiful historic old town where the blue-and-white tiles of the church dome glisten in the sunlight. 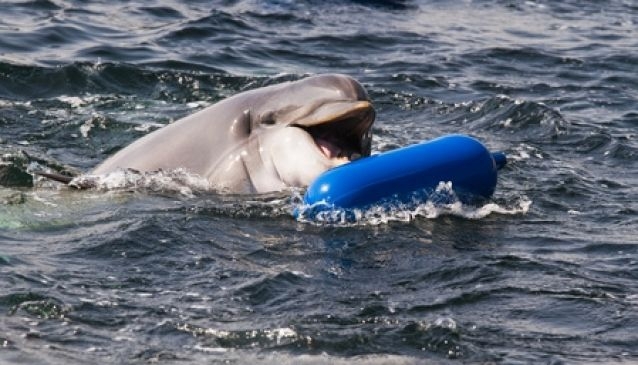 Don’t forget to look out for groups of dolphins swimming close to the boat while you sail along the coast. You have about a 50/50 chance of seeing these beautiful creatures up close on the Costa Blanca. You’ll also come across a great variety of fish, turtles and marine vegetation. “We often see dolphins and we have seen whales but this is a bit rare,” said Steve. One of the finest sights to witness from sea has to be the emblematic Ifach rock at Calpe. This granite rock, 332 metres high and a kilometre wide, is halfway between a mountain and an island and provides a home for more than 80 species of birds. You definitely don’t want to forget your camera so you can take home some breathtakingly beautiful memories of your sailing holiday in Alicante. Sailing towards Denia, you will come across Moraira, which has fabulous little beaches before you reach the stunning cliffs at Benitatchell. This is a gorgeous setting for dropping anchor for a swim to the Cala del Moraig cove where the mountain plunges into the sea or the Cova dels Arc cave. The dramatic cliffs and mountains continue to surprise visitors as they set sail for Javea, with its pretty-as-a-picture viewpoints such as the Cap de la Nao cape. Just before the cape, however, is one of the finest beaches in Spain. La Granadella is a small, shingle, horse-shoe bay where the Med is a beautiful turquoise colour. Separating Javea and Denia is another important nature reserve, the Cabo San Antonio cape and Montgo mountain. This is a great place for dolphin watching as they are often seen swimming along by the headland. This is a protected area as the marine reserve is rich with sea life including Posidonia meadows, which an important part of the ecosystem. Fishing is forbidden and you need a special licence to dive in these waters. Up next is Denia which boasts 15 kilometres of beaches plus a chic marina, port and an impressive castle looming over the old town and former fishermen’s cottages. From Denia, you can set sail for the Balearic islands of Formentera which is famous for its turquoise waters and laidback atmosphere, the party island of Ibiza, Mallorca with its impressive waterfront cathedral and charming towns, or Menorca, another island for relaxing and enjoying beautiful scenery. Taking a relaxing sailing holiday is a lovely way to see the beautiful and ever-changing coastal landscape in the Alicante region. What are you waiting for? Contact Sailing The Med for more information about sailing holidays or learning to sail holidays from Alicante. 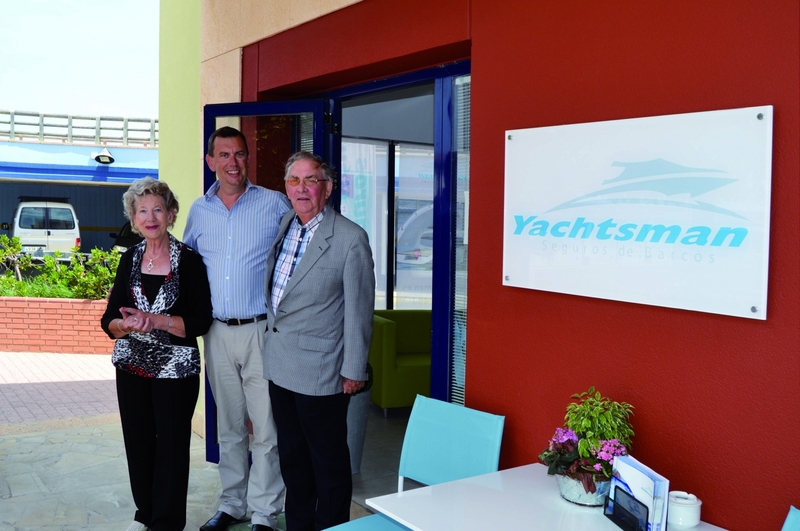 Yachtsman is an Irish company specialising in marine insurance for more than 40 years. Its team, based in Marina de Denia, offers a friendly, efficient service and quotations and cover can be arranged over the phone in minutes. From dinghies to cruisers you can feel secure in the knowledge that when you have a Yachtsman policy, you have the best policy to suit you. Spanish policies can be unclear and complicated and it is difficult to know what is covered and what is not covered, and far too many boat owners only find out when it is too late. As a Coverholder at Lloyds, Yachtsman has a range of insurance products that can be individually tailored to suit your insurance requirements so that you have the best cover available to you for the right price. These policies have English conditions which are more familiar to the expat community here in Spain. The policies are issued in English and Spanish and the certificates are available in several other languages at no extra cost. Yachtsman will be shortly launching a Combined Marine trade policy for Marine Businesses that will cover all aspects of business insurance under one policy. And if you are in the boat business and are interested in becoming a Yachtsman agent contact the office on 966 206 484. So if you are a first time boat owner or if your policy is due for renewal , discover the difference it makes to talk to someone who shares your passion, contact Yachtsman , the marine insurance specialists.